1. Ensure the strainer and tap are on the right position. 2. 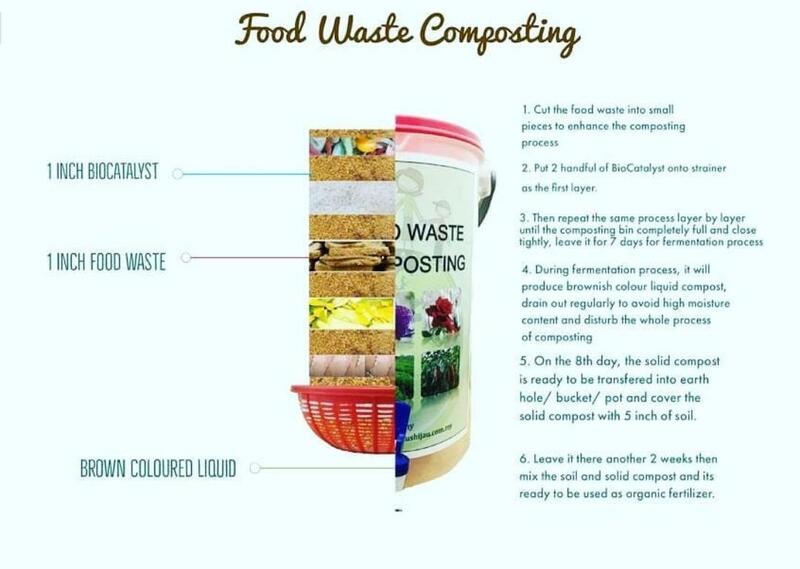 Cut the food waste into small pieces to enhance the composting process. 3. Spread one handful of BIOCATALYST on the bottom of strainer. 4. 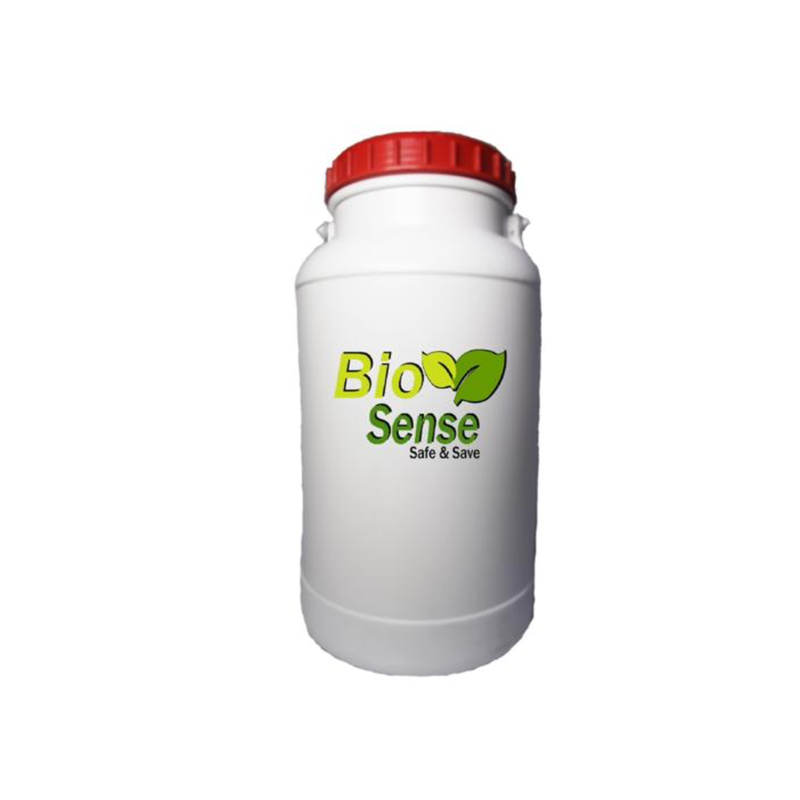 Put the food waste in for about 1”-2” and spread one handful of BIOCATALYST on the top, it becomes a layer of food waste and biocatalyst. 5. Press the food waste (after step 4) to remove air out. 6. Repeat step 4 and 5 until the container is full and ensure the COMPOSTING BIN is tightly closed. 7. Brown colored liquid collected at the bottom has to be drained out frequently to avoid the bad smell during the composting process. 8. Leave for 7 days to complete the composting process. 9. 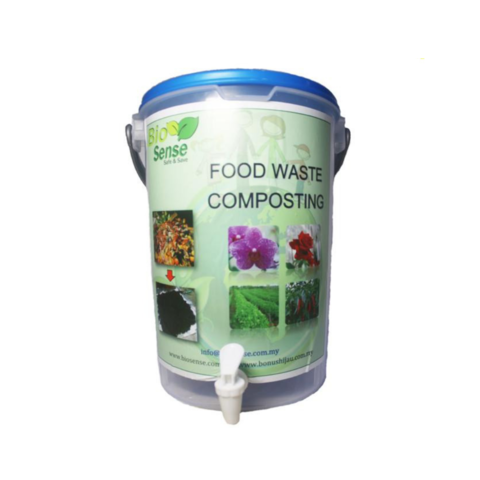 On 8th day, the solid compost is ready to be transferred into earth hole/bucket/pot and please cover the solid compost with 5 inches of soil. 10. Leave it there for another 2 weeks then mix the soil and solid compost and it’s ready to be used as soil enhancer.